I bought sun sensitive paper for my girls as a gift, but today was our first trial. We set out to find objects to place on the paper. Our first attempt used loose parts. 1. Create your designs inside, away from sunlight and put the paper on cardboard or a tray to help carry it outside. 2. Cover the picture with glass to stop it blowing away and keep it flat and place in the sun for 3-5 minutes. The paper will turn white. 3. Remove the glass and the objects. Place the paper in a bowl of water for 1 minute, to stop the chemical reaction. 4. Remove the pictures and leave to dry. As you can see, one of the pictures came out clearly, whereas the other had only faint prints. The girls discussed why this might be. Why did mine work better? I thought mine was in the sun longer but the other one was definitely in the sun for longer, so I don’t know. It wasn’t because my things were heavier because I used sequins too. Maybe it wasn’t pressed on as hard? I suggested they try another, to see if they could work it out. This time we searched the garden for natural materials. Usually, I only let the girls use natural things from the ground, but this time I gave them permission to pick flowers and leaves. They searched the flower bed and found things they hadn’t seen before, climbed the tree to reach leaves and lichen and we found that even weeds could have interesting shapes. They chose their favourites to make a design. This batch was both successful. I love the detail of the smaller leaf. The girls reflected on the success of these pictures. I think it worked better this time because we laid the leaves really flat before we started, or perhaps it is because we left it in the water for longer? But I don’t think that would make a difference. Even the little sequins came out this time. 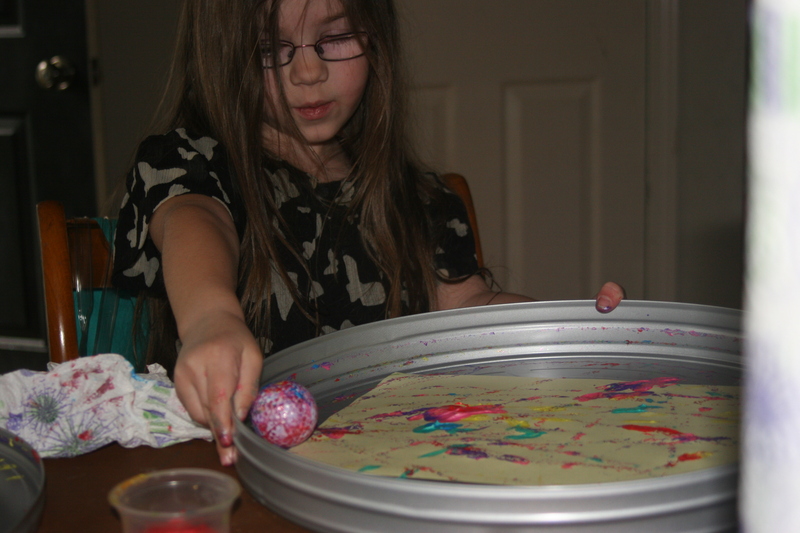 We saved a few sheets for their big sister to try, it will be interesting to see what she will create. I also ordered bigger sheets because some of the bigger leaves didn’t fit on the 5×7 paper. I don’t make assumptions about what my children will learn from an activity. I don’t presume that they will learn anything, I’m happy if they are absorbed and having fun. 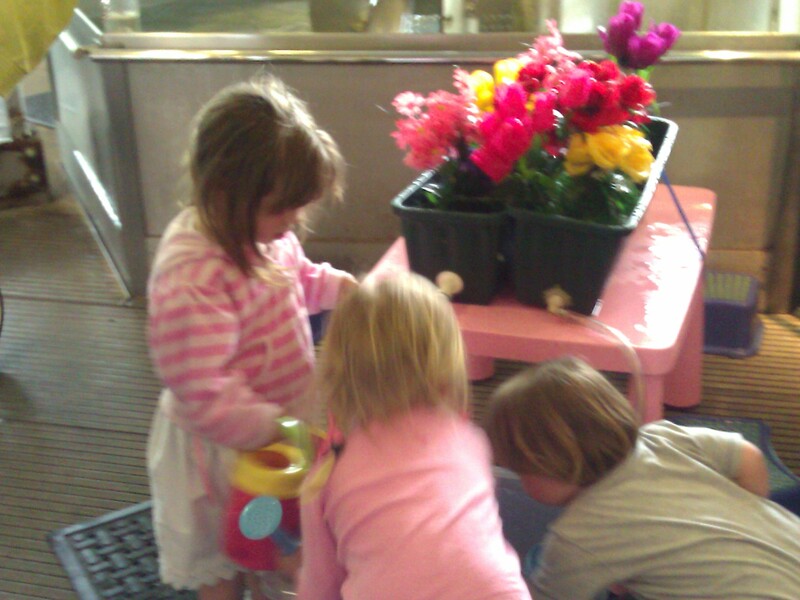 Sometimes a simple activity can unexpectedly become a rich learning experience full of questions and discoveries. These for me are precious moments. I have recently become aware that the simplest craft activities lead us unexpectedly into an exploration of scientific concepts. For example,we recently acquired a movie reel canister, perfect for paint rolling . I gave the girls a small box of marbles and small balls (a ping-pong eyeball and a golf ball) and a few pots of paint. The discussion that ensued was interesting. Child 1 : 5-years-old Child 2 : 3-years-old. Child 1: The eyeballs go much slower. I think because the eyeball is bigger it goes much slower but the marble is smaller so it goes faster. Why do you think it is sticky? Child 2: Maybe there’s too much paint. Child 1: This one is not as sticky as the other one but it is much bigger. Maybe it’s because I didn’t put as much paint on. What makes the 2 balls different? Child 1: One is bumpy and one is smooth…………..but that would make it slower. It gets stuck and the other one goes really fast. Maybe the material it is made from is sticky but now that we don’t have as much paint on, it goes fast. Perhaps the paint sticks to the material and stops it slipping and sliding. Maybe because the golf ball is hard it doesn’t stick to the paper, maybe the paint doesn’t like it and slips off. When we went to wash the balls we checked to see which would float. Child 1: The golf ball and the marble sink and the eyeball floats. This one floats because it is all filled up with air. Child 2: This one sinks because it is bigger…………………….. but what about the marble, that sinks? Child 1: It is because it is heavier. The connection between the mass of the ball and how fast it travelled did not register but there are many other projects we can explore to help them work it out. 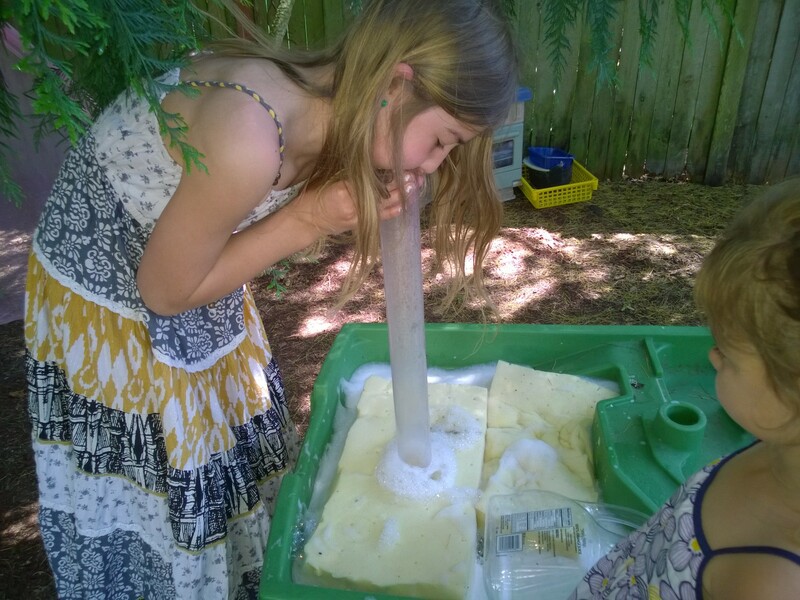 These incidental science experiments happen a lot. There was the time I left an empty milk carton outside and they turned it into a tap by inserting a straw. The girls decided they needed to find a way to turn it on and off. 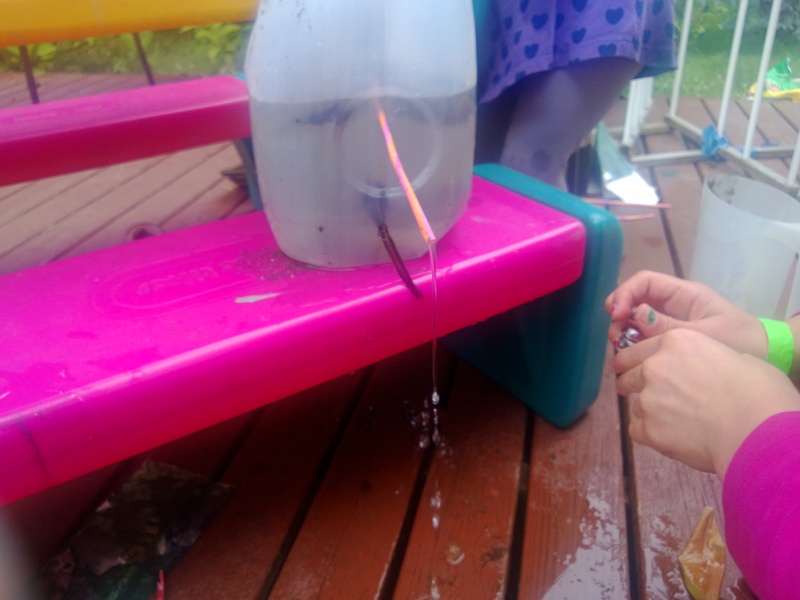 Further experimentation helped them work out how to get the tap to drain all of the water. My role as teacher was not to give them the answers but to ask questions like ‘How could you make it better?’ What could you use to…? or what would happen if…? 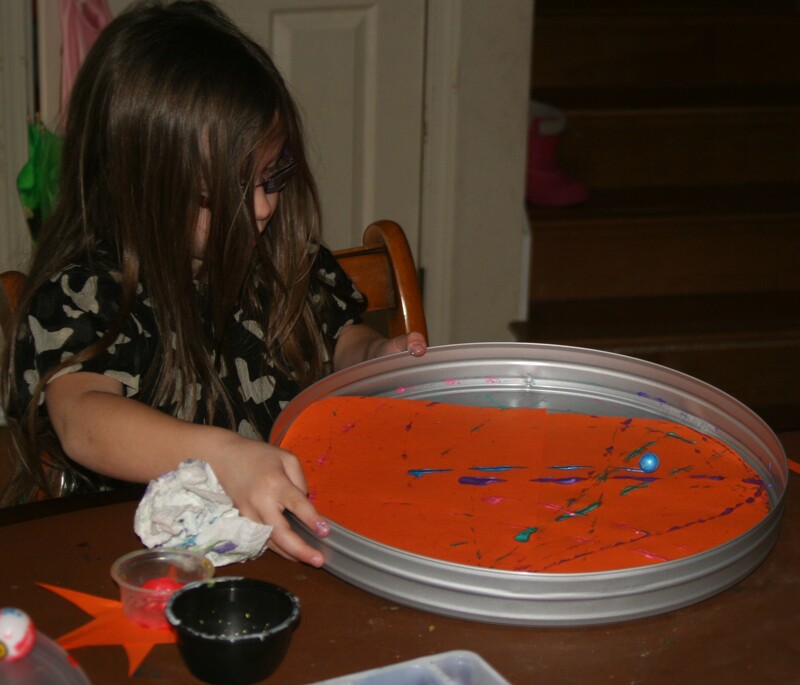 Having open-ended materials readily available makes it easy for them to instigate projects . This week, I put pieces of foam in the water table soaked in bubble mixture and showed them how to squeeze the foam to make bubbles. I knew my eldest would love this. She had another idea, taking a piece of plastic tubing she blew into it creating lots of foam. The children’s ideas are always the best! She asked me for test tubes and filled them with bubble mixture and opened her own beauty parlour with potions that made your hair soft or skin younger. Our youngest children are full of uncertainty so they are naturally questioning things all of the time. Isn’t that the foundation of science? Our skill as teachers is not to feed them the answers but to give them the tools to make their own discoveries. Do we need to plan specific science lessons? Isn’t science and discovery the very essence of childhood?Children don’t call it science, they call it play and in play they work things out for themselves. Playing in the sandbox for a living? ‘Isn’t that what I do? I’ve had a really fabulous day out with my 2 year old and her friend at the bi-monthly Toddler Takeover at At-Bristol. 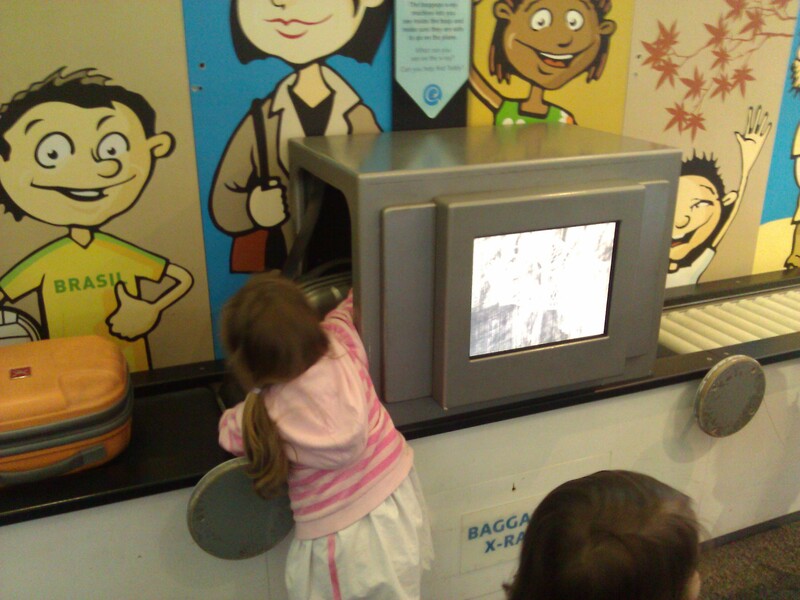 At-Bristol is an interactive science centre with over 300 hands on exhibits. The Toddler Takeover is a themed day targeted at the under 5’s. The theme for today was ‘Come Rain or Come Shine ‘. I’ve been impressed by the amount of exhibits that my 2 year old can enjoy when visiting with her older sister in the past. There are 2 under 8’s areas that are always available . A role play airport including a cockpit where the children can fly a plane, passport control, luggage and an x-ray machine and a hostess trolley. When my eldest was 4 we spent most of the session playing here. 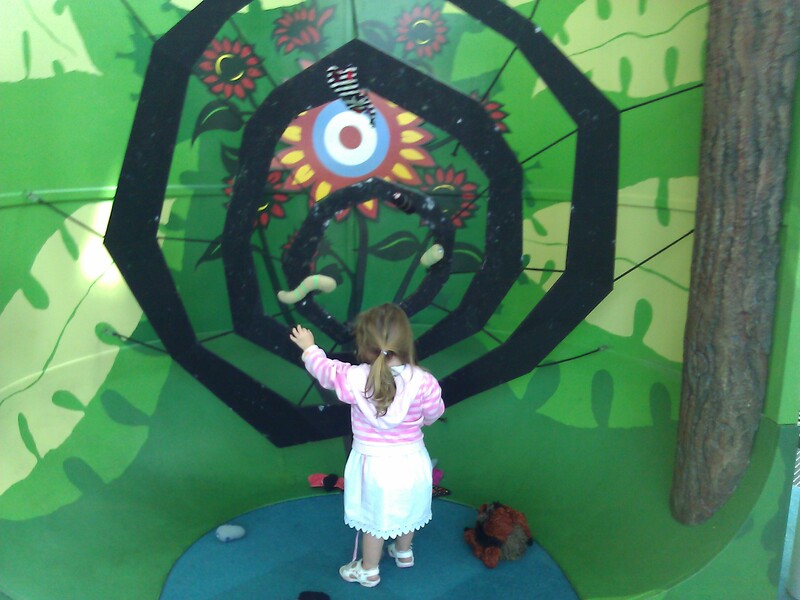 The other has an animal theme and includes a tunnel, dressing up, storytelling and a sticky spider’s web game where the aim is to throw bugs at it to try to make them stick in the web. I once saw a superb storyteller in this area so was disappointed to have missed the storytelling session today. As our children were under 3 we only had to pay for the adults therefore the day was good value for money. 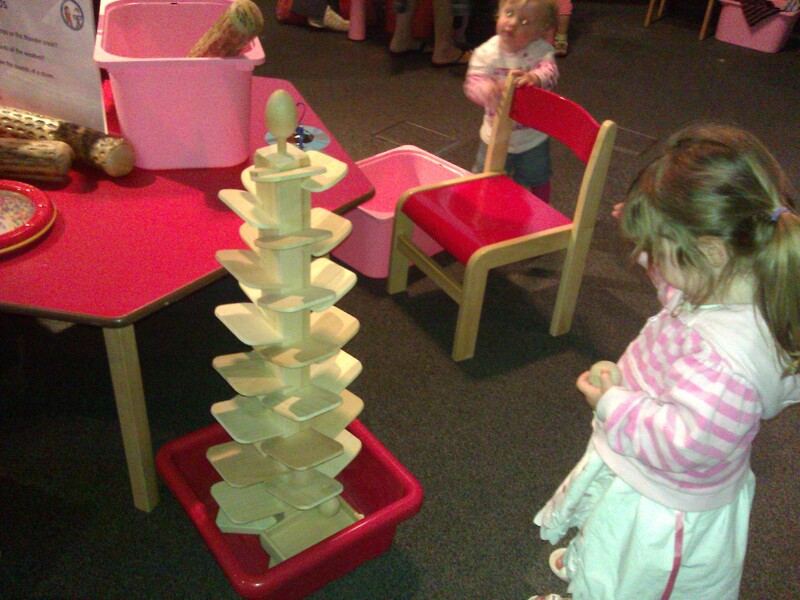 In addition to the usual exhibits, there were a number of theme based activities designed with the under 5’s in mind. These activities were on the whole well thought out and there was a mixture of child directed hands on activities and more structured adult directed activities. 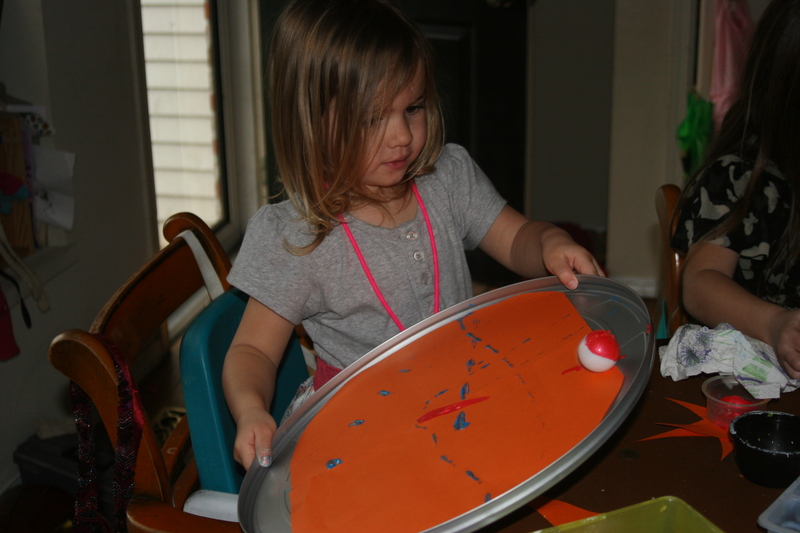 Some of the activities involved making an end product – a windmill or weather wheel and some were more exploratory such as musical instruments that made weather sounds, pretend snow and water play. These were suitable for even the youngest children and each of the exhibits included a list of suggested questions and discussion points . There were a lot of staff helping the children to make the most of the exhibits including a number of volunteers. Some staff were better at engaging the children that others but in all I felt that the level of supervision was excellent. For an extra 50p the children could watch a show in the planetarium. This was very interactive and visual and at about 15 minutes short enough to keep the children’s attention. It may have been better presented by someone with experience of working with large groups of under 5’s but he managed to keep the interest of most children. My little one enjoyed running through the lights best of all and is looking forward to returning with her sister so that they can do it together. We had a lost child incident whilst we were there and would just like to commend the staff for the efficient way that this was dealt with. 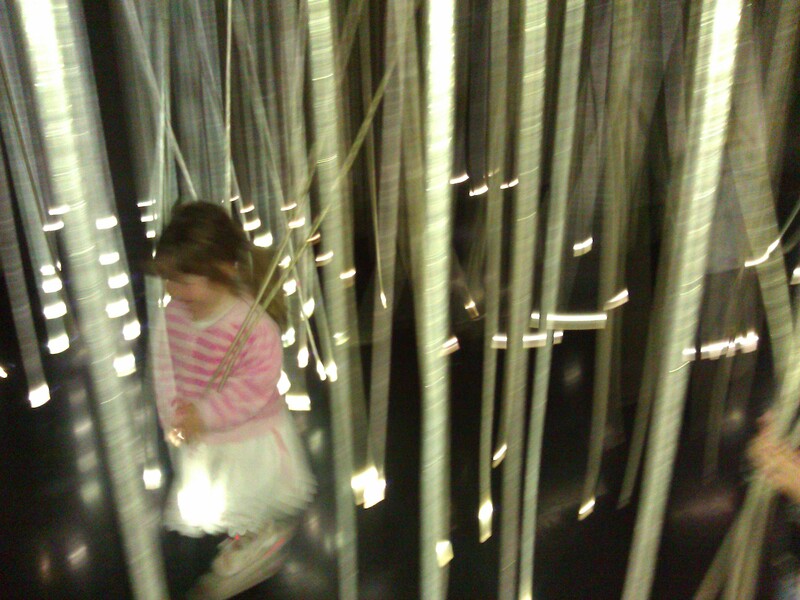 The child had wandered from the cafe to the main exhibit area. When staff observed that he was without an adult, 4 members of staff kept in close contact without approaching him directly, so as not to alarm him. When reporting the lost child the reception staff immediately alerted all the other staff and the child was found . On a practical level there are a number of baby change areas and buggy parks throughout and a picnic area where you can sit and eat your own food. The cafe has its own small play area so the children can play whilst you have a coffee break. Parking is on the expensive side but park and ride or public transport are an option. 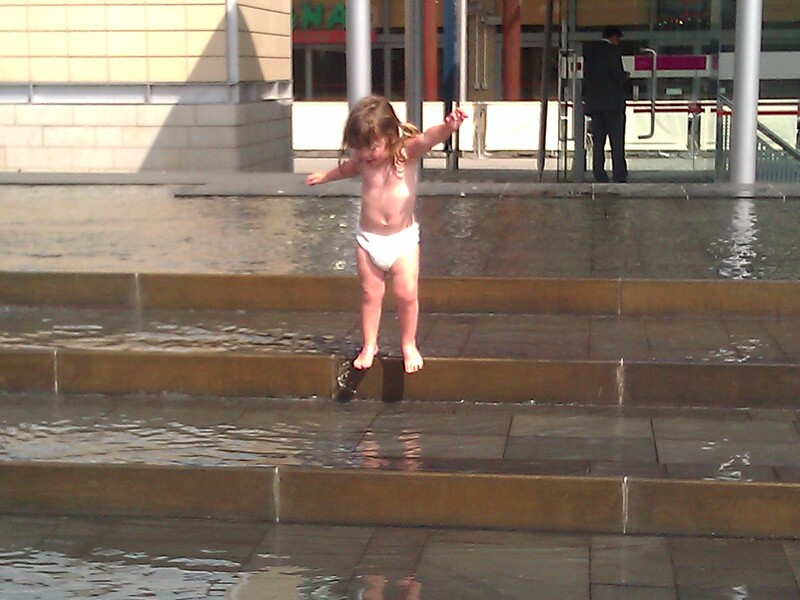 As an added bonus to the day out, outside At-Bristol there are a number of water features that on sunny days become a great place for children to splash about in. My only real suggestion for improvement is that there could have been better signage from outside that the event was going on . I’ll definitely be recommending this to my friends and am looking forward to the next one. At-Bristol is also a great place to visit with older children too, my 7 year old wants to go tomorrow and is disappointed that she couldn’t come with us today. ‘I want to play with the fake snow’ she said when she found that it was only available for the toddler session.